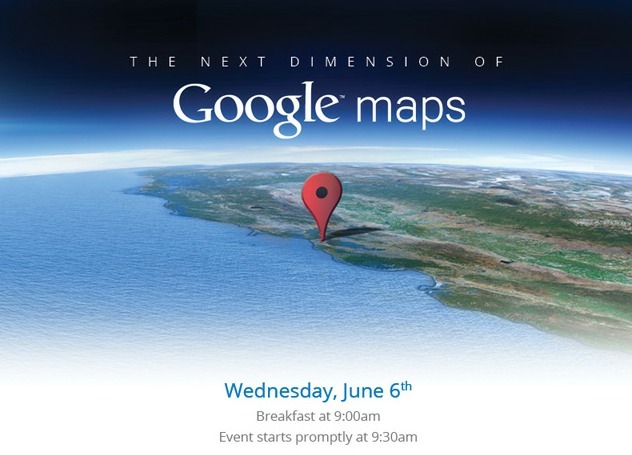 …give you a behind-the-scenes look at Google Maps and share our vision. We’ll also demo some of the newest technology and provide a sneak peek at upcoming features that will help people get where they want to go – both physically and virtually. The timing of this couldn’t be better as Apple is holding their developer conference, WWDC, the following week. Rumors have pegged Apple as having created their own map offering to compete with Google’s and that it would be unveiled during this conference. Any guesses on what could be new in Maps?